The warmth is taking it’s time to arrive this year. But once it does, it will also mark the beginning of event season. Weddings, Graduations, backyard bbq’s, holiday weekend celebrations and more mark the arrival of spring and summer. With that, will come the need for everything to plan and execute all those fabulous celebrations. That is where PaperMart supplies can help. The family owned company has been in business 97 years, (20 years online) and prides itself on being both family run, and the largest retailer for discount packaging and supplies in the United States. Plus, the company has over 26,000 PaperMart supplies and items available to purchase. Whatever you’re celebrating, it’s a one stop shop for all your supply and party needs. PaperMart supplies cover dozens of potential needs. Anything from a large volume of shipping supplies, to food packaging, and endless party decoration ideas. As we hit the warmer, more desirable times of the year, white always becomes a more popular color. 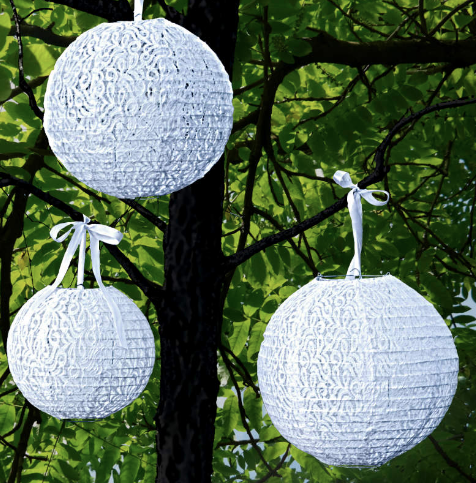 These white, vintage, lace lanterns are not only lovely, they’re the perfect addition to any spring or summertime party. Even a wedding. 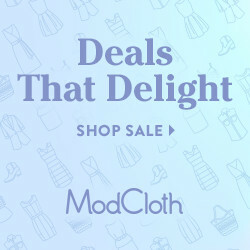 Plus, all new customers get 5% off their first order with promo code Savings. This is valid through 4/30/18. Plus, there are more ways to get all your PaperMart supplies. Currently, the company is holding a #saveatPaperMart giveaway. 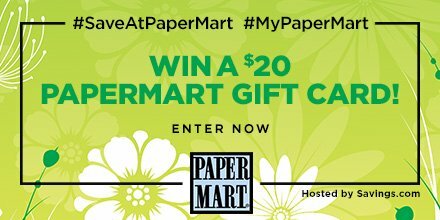 10 people will win a $20 gift card to PaperMart. 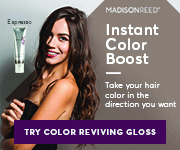 See below for all details, and take a moment to enter now. Giveaway closes: Sunday, April 15th at 11:59 PM ET. Enter by heading to the PaperMart page on Savings.com and submitting their email address on the form at the top of the page. Winners will be chosen through a lottery drawing and notified on Monday (4/16) via the email address they used to enter.